Style Me Pretty is the end-all-be-all wedding inspiration blog. 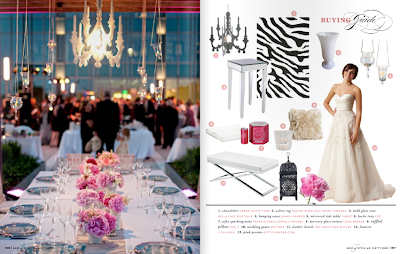 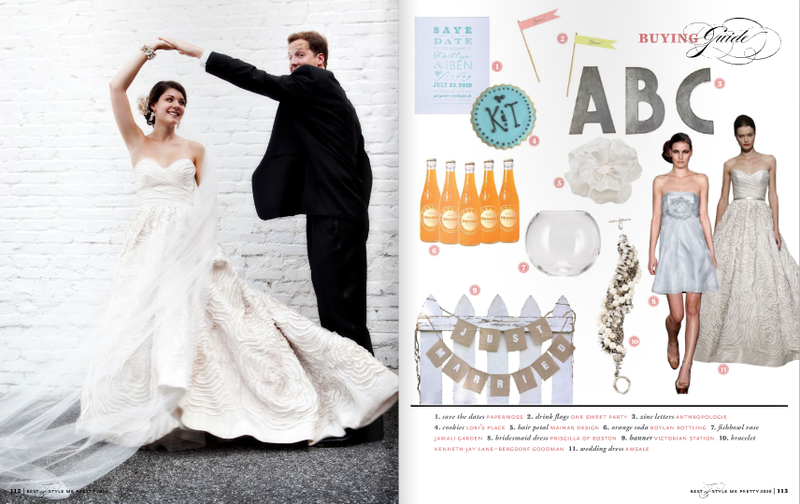 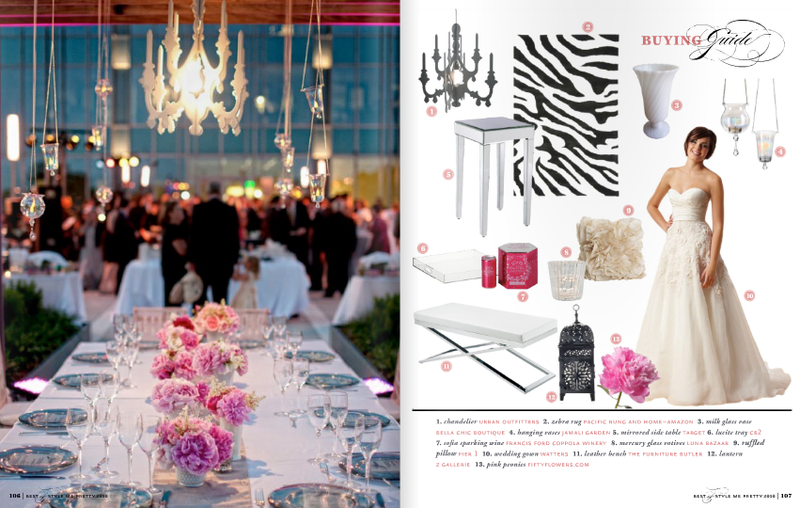 Abby Larson, founder and editor released their first free e-glossy magazine highlighting her favorite weddings of 2010. 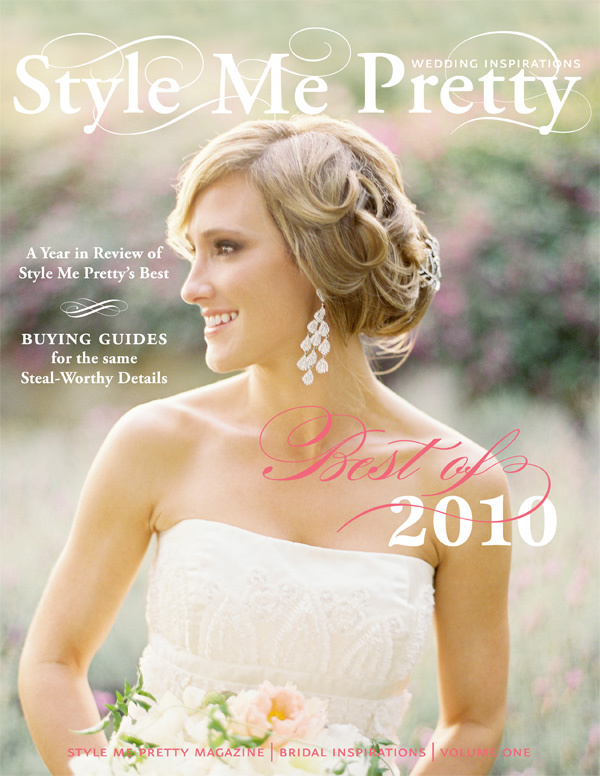 I'm sure most of you who read this are already married, but this magazine is wonderful to forward on to your younger sister, best friend, or anyone who loves looking at beautiful images of flowers, stationary and party decor. 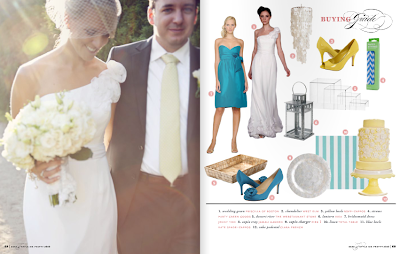 My favorite feature is that Abby not only summarizes her favorite weddings, but she has a page for almost every wedding where she suggests how to get the look. This is where the "any woman would like to read this" part comes into play. 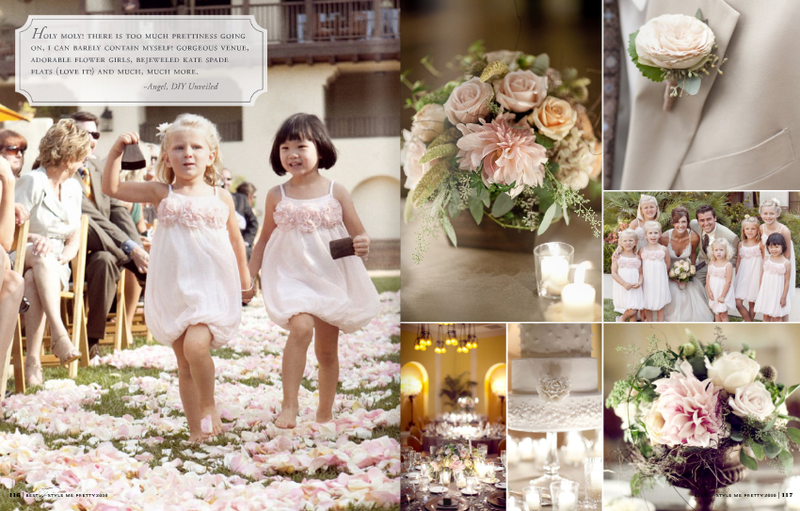 The decor, accessories, and color combinations can be used as a wonderful start for room inspirations for your nursery or any room in your house. Oh an seriously how cute are these little girl's dresses? Click here to look at the rest of this wonderful issue.